This card is made using paper smootches stamp sets and lawn fawns into the woods 6x6 paper. The images are copic coloured. Nice and simple. 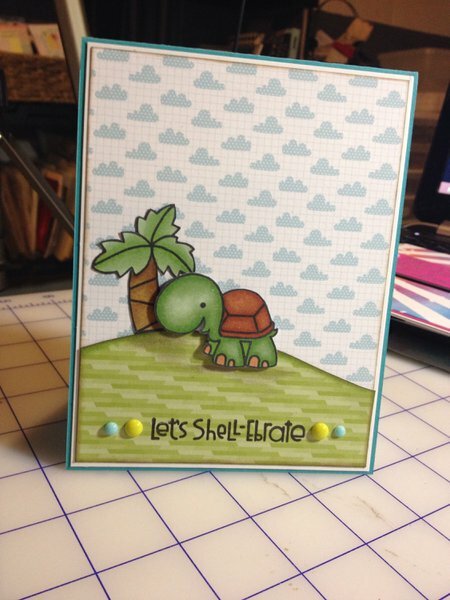 The outside says â€œlet's shell-ebrateâ€� and the inside of the card says â€œit's your birthdayâ€� Thanks for looking.